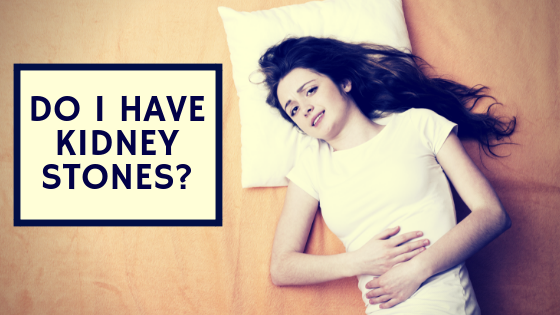 You probably know someone who has suffered from kidney stones, or have experienced them yourself from time to time. One in ten people are affected by kidney stones, making them rather common. So, if you’re asking, whether you’ve got kidney stones, it’s certainly possible. In America, the likelihood of developing stones is much larger than other nations on earth and this number continues to increase over each decade. No matter the statistics of sufferers in America, people from every location have been affected by this disorder. Ancient mummies found in tombs in Egypt have been found with both bladder and kidney stones. Often, kidney stones go unnoticed and may not even present any symptoms. This changes very quickly when a stone becomes trapped within the ureter, which connects your kidney to your bladder. Suddenly the symptoms will be very apparent. Your symptoms will be different depending on where the stone is within your body and how far it is with its development. Kidney stones are more likely to attack either late in the evening or early in the morning. This is probably because not much urine gets secreted at these times and the ureter may get constricted. Attacks usually do not occur during the afternoon. The afflicted person may have difficulty becoming comfortable and finds themselves walking, standing, sitting, or reclining in order to gain relief. Pain from a stone tends to begin on either the left or right side. The pain becomes more severe and relentless. The pain tends to last only several minutes before fading away, only to return in about ten minutes. When a stone is lodged within the kidney or the upper urinary tract, pain usually begins on the left or right side of the waist towards the back. The stone travels towards the groin as it continues downward. The sufferer will feel like they must use the restroom more often and experience an uncomfortable burning sensation when urinating once the stone moves closer to the bladder. The sufferer experiences painful muscle contractions throughout the small ureter walls as the stones attempt to make their way to the bladder. Some stones are too large to pass through easily. There may be an infection if the sufferer is experiencing a fever or chills along with other symptoms. Blood may be present within urine. The kidney stone’s size does not always determine the level of pain experienced. Some stones are very small with sharp edges and cause an intense pain, and some stones are larger, smoother, and rounder and therefore easier to pass. Struvite stones usually present zero symptoms. Unfortunately, those who have experiences stones one time will be at a much higher risk of forming new stones later on. If you suspect you’ve got kidney stones forming, or you’re already experiencing pain from them, you should consult with your physician. You can also get more information about kidney stones here. NextMomma Never Said There’d Be Toddler Tantrums Like THESE!